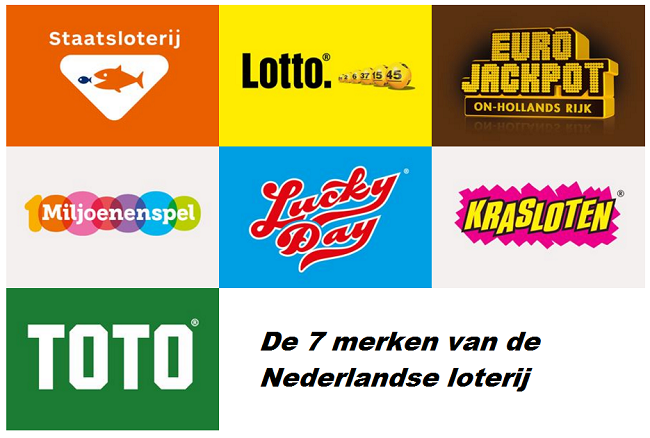 The Dutch National Lottery is one of the oldest Dutch lotteries. It’s history goes way back to 1726. The long and interesting history has also made it the biggest lottery in the Netherlands. Back in the 18th century it was established by the State as a counterpart to the many illegal lotteries back then. Nowadays, the Dutch National Lottery doesn’t belong to the state anymore. The Dutch National Lottery has been an independent company in 1992. Participants have a very high winning chance in this lottery. This is because of the fact that every year sixteen draws take place. So you have a chance of becoming a millionaire sixteen times! Another advantage is that you don’t even have to pay taxes on the winning prize. Your chance of winning in the Dutch National Lottery is very high. Actually the odds are 1 to 2, which gives is the highest winning chance of all the Dutch lotteries. Besides that, there’s a 12.2 percent chance that you will get the money back you’ve payed for the lottery ticket. The chance is very hight next to gamling in Dutch casino’s. It was absolutely a good decision to establish the Dutch National Lottery in 1726. It made an end to the many illegal lotteries that were established in the 18th century. Old documents and even paintings show the long history of this national lottery. Interestingly enough there’s a painting from Vincent van Gogh on the lottery. You can see a crowd of people together at the shop where tickets are sold. Back then, these people knew lottery as the ‘Generaliteitsloterij’ (Generality Lottery). In 1848 the name changed in the Dutch National Lottery. It took until 1992 before the lottery became independent. Nowadays it’s organized by a foundation that is called ‘The Dutch Lottery’. Another interesting piece that shows the history of the Dutch National Lottery is a paper from the French ruler Napoleon in 1813. At the beginning of the 18th century the general conquered the Netherlands. On the paper you see the rules of the lottery and his signature. One of the main rules of the lottery is that people can win money in a fair way. It basically depends on good luck. However, the lottery does not only want to make the Dutch participants happy. It also supports several charities, especially in the sports. For example a part of the revenue is meant for the ‘Sail Wise’ organization. The Dutch National Lottery is a non-profit organization. About 15 percent of it’s total revenue goes to the Dutch State. For the lottery this is a way to give back to society. About 60 percent of the deposit goes straight into the prize pool, which is the highest percentage of prize money of all Dutch lotteries. Obviously you need to buy a ticket to participate in this lottery. You actually have several options to do so. For example, you can buy a 1/5 ticket for 3 euros. It means that you don’t buy a whole ticket, so there’s no chance of winning the full prize. This also applies to the Jackpot. You need to buy a whole ticket to have a chance on winning the Jackpot. This ticket with the Jackpot included costs 15 euros. Do you want to play with all the last numbers and have a chance on winning the entire prize? Then we recommend to buy a so-called ‘Street’. It costs 150 euros, but you do get ten full tickets with the numbers zero to nine. This increases your chance of winning. Besides that, the minimum prize will be at least 50 euros. Or perhaps you’re so confident of winning that you want to put an extra XL option to your ticket. This costs 2,50 euros for every type of lottery ticket and 0,50 cents for a 1/5 ticket. Each month you can participate in an extra draw for the XL prizes. Perhaps this extra chance of winning will bring you a lot of money! The Dutch National Lottery organizes sixteen draws a year. They always take place at the 10th of the month. Don’t forget to watch the results at 10 p.m at the website of the lottery. You can also participate in four extra draws, who are taking place on King’s Day, July 1, October 1 and New Year’s Eve. The ticket price is the same as usual. The results during New Years Eve are extra exciting, because they’re announced at midnight with firework. You can participate in this lottery in several ways. For example, many people only play on special occasions. To feel the excitement around New Years Eve is a good reason to participate! Three draws in a row are also a possibility. Who knows if Lady Fortune is at your side during one of these draws? You’re account will be dissolved automatically after three times. Perhaps you’ve become so enthusiastic that you want a subscription for the Dutch National Lottery. In that case you participate in all the sixteen draws are year. The costs will be debited from your account automatically. The amount of money you can win in the Dutch National Lottery depends on the numbers that are drawn. They have to match with the numbers and letters on your ticket. The lowest price you can win is 7,50 euros. To win the Jackpot you need to have the correct numbers and letters. These are shown on an orange ball. With a Jackpot hit you probably never have to work again! Usually the prize money is between 7,5 and 20 million euros. The amount of money will even raise when there’s a Jackpot hit. The highest Jackpot hit ever took place in 2013. Someone won 38.4 million without having to pay gambling tax!